The Ridge Rocket will spin at 8:45am on Thursday, November 22nd. Come and celebrate with us! We'll be celebrating Opening Day with a party at the bottom of the Ridge Rocket Express. You can look forward to music, FREE hot chocolate and lots of giveaways. 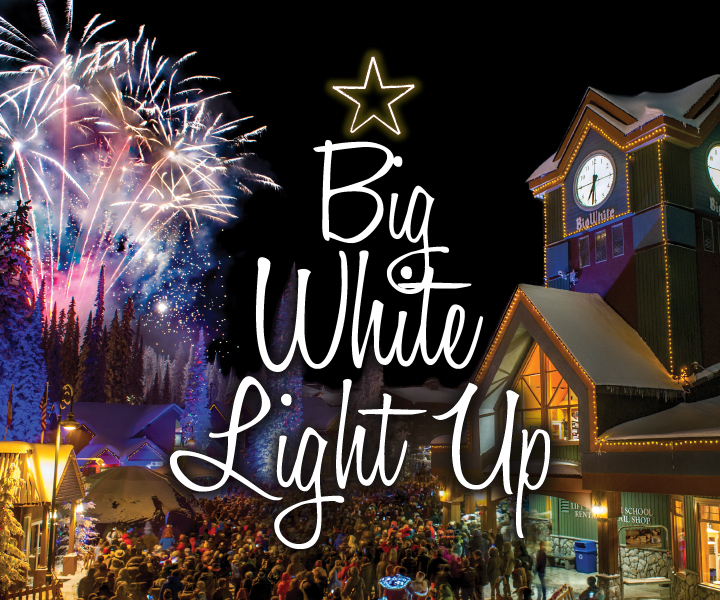 Loose and Lucy Moose will also be around to welcome you all back to Big White. Join us from 8:30am- 10:00am! Make sure you have your pass loaded and ready to go! More information about passes can be found here. * Please note that the Beginner Area in Happy Valley will not be open this weekend. We will keep you updated on when this area is prepared for opening. Visit The North Face tent in the Village Centre and join in even more Opening Day fun. The tent will be easy to spot, so make sure you say hello and jump in front of the lens at their custom photo booth. DJ starts spinning from 12:30pm, soak up the sun, listen to some tunes and celebrate with The North Face. Still looking for some outerwear to keep you warm this season? Purchase any North Face gear in Altitude and receive a gift with purchase at tent.